People from 1999 may recall a craze over a little robot dog, the Aibo. The original Aibo was able to track a ball and kick it across the room, sing a robotic song, perform tricks like shaking your hand, and sleep. 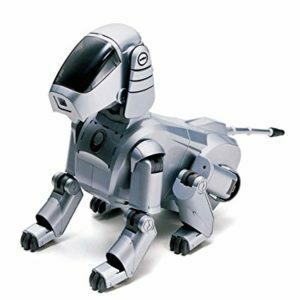 Unfortunately, after the release of three editions of the Aibo, production ceased in 2006. Many were sad to see their robotic pets leave, some even performing funerals for them when they stopped working. On a brighter note, the Aibo has now been rebooted, so robotic companions can find their way back into the lives of people! The original Aibos were ahead of their time in technology. They were artificially intelligent, able to read the emotions of a person and react according to that, and they were even able to express their own emotions too. In order to make the Aibo seem real, a Memory Stick would be added to the robot, where the data used for its machine learning would be stored. They had touch sensors on them, though not as many as new Aibos have, and they would be used to detect if they were being pet or hit. The Aibo also had a camera and a range finder in order to learn its surroundings. To detect sound and where the sound came from, there was a microphone installed in the Aibo. All of this was used for the learning of the dog. When using that learning, the Aibo had colored LED lamps to show emotion (red for angry and green for happy), and a speaker that would play sounds such as a bark or a song. While the original Aibo looked more like a robot than a dog, the new Aibo is intended to look more like a dog than a robot. It has brown ears and a tail that move whenever expressing itself. The original had a black screen across most of its head where it would flash green or red eyes according to whatever emotion it was feeling, but now the newcomer has two eyes with LED screens, and the rest of the head is made to look as natural as possible. The Aibo comes with a pink ball, an aibone (which is made to look like a regular dog bone), a charging station, and a dog tag. The new Aibo is also more customizable than the original. Sony has produced an Aibo app where users can choose a gender and an eye color for their Aibo, and they can teach the Aibo tricks through the app. Pictures can also be taken through the camera in the dog’s nose, and they’ll be saved in the app. It can be taught to beg, shake hands, go to its charging station, and much more. Aibo, or whatever you choose to name your pet, can detect the way you feel. If you’re acting angry or hostile, the dog may give you some space until you’re doing better. If you seem like you need a friend, the dog may come to your side and comfort you. If you’re happy or energetic, the dog may come to you and want to play. The way the dog acts all depends on you. How does it do all these things? 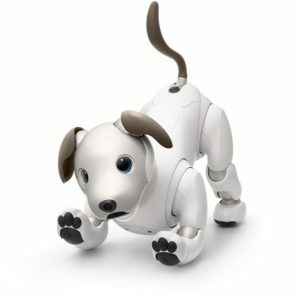 The Aibo has a built in wireless connection in order to connect to the Sony Cloud. This is where it obtains instructions such as how to perform tricks, and also pictures taken using the Aibo will be stored in the cloud. On the dog itself, it has an artificially intelligent computer inside that is used for the machine learning aspect of it. All of that is done on board, and it is not stored in the cloud. There are two cameras on the Aibo: one in the nose, and one on the back of the Aibo, near where the tail meets the body. The one on the nose is used for facial recognition. The dog will start to recognize the people that it’s with, and through this camera, it can pick up on the mood the people are in. Even though it isn’t a feature yet, Sony is working to update the dog so that the camera in the nose can be used to make a watchdog. It’s possible that someday, the owner can watch their house through the app for security. The camera on the back of the dog is used in order to learn its surroundings. It can learn where a wall is placed, or spots to avoid because it knows that it gets stuck whenever it goes there. The new Aibo has touch sensors on the head, same as the original, but now it also has sensors on the back and the chin. This means they’ll recognize when you pet them in spots other than their head. 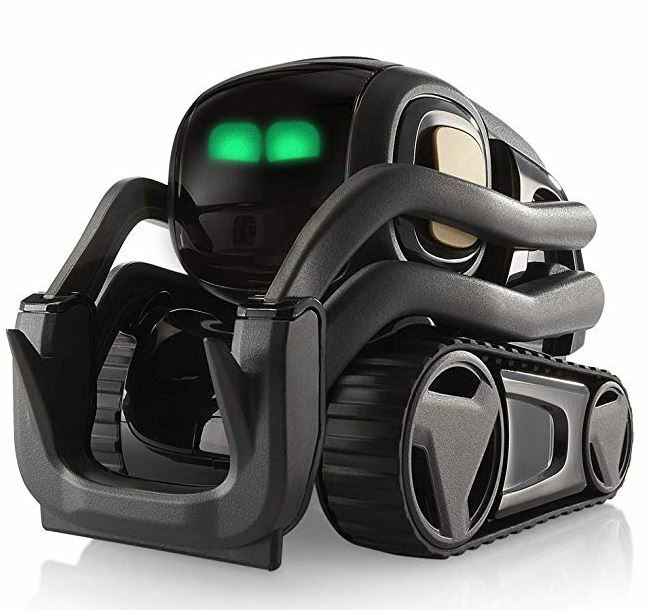 As far as battery goes, the Aibo has a 2 hour battery life. The dog can play and roam around for this amount of time, and then when it detects that it has a low battery, it will go back to its charging station in order to charge. It can also go to its charging station if the owner instructs it to go there. Aibo is able to be a companion for all ages. People around their 20s and 30s right now are wanting to get one, because they remember hearing about this technology when they were younger kids, and the possibility of owning that technology excites them. Young children want them because they can be a toy to play with. It could be a way for children to learn how to have a pet without the hassle of owning a living pet. The elderly like to see the Aibo, because it brings a smile to their face. They can show love and affection to the Aibo, and the Aibo will show that same love and affection back. Some of them are skeptical about the new AI dog, but they still think that it’s a cute puppy. There seems to be no true target audience for the Aibo, because the Aibo is able to be loved by everyone of any age! With this new edition of Aibo, the craze of 1999 has been reborn. Now, people can once again have a robotic companion to come home to after long days. They can show it love, teach it tricks, and simply enjoy being around it. Welcome back to the world, Aibo. We’re glad to see you again.